The Pineal Gland: Pathway to the Paranormal? Investigating the Paranormal: A Brief overview of the SCSI. 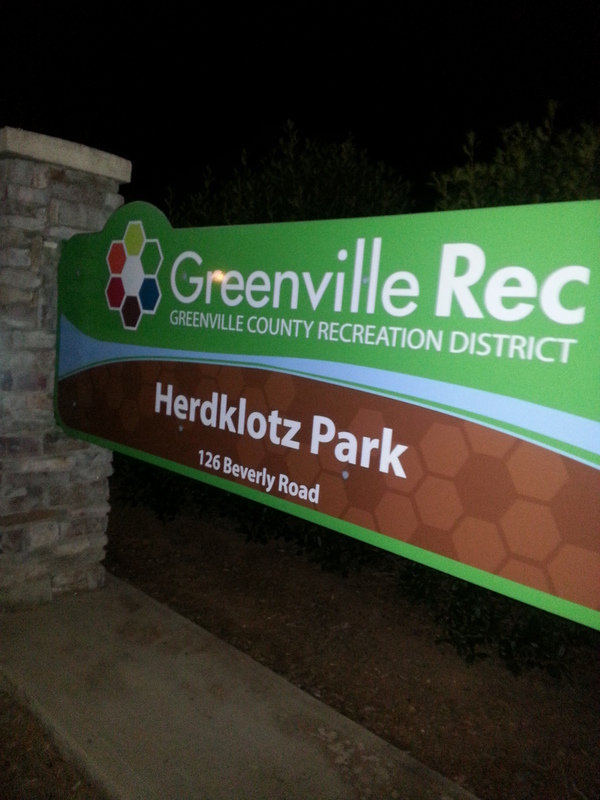 We entered Herdklotz park after dark, hoping to capture great evidence of paranormal activity! The location of the old TB hospital, One of the most famous haunted places in the upstate. The eerie, dark, disturbing history echoes in the irony of the park’s location. Several Investigations have taken place here and the SCSI wanted to take a stab at it, after dark. Simply armed with a digital recorder and an EMF detector the SCSI set out to investigate, and investigate we did. Of all the spiritual activity i have felt and experienced this place takes the cake, by feeling alone. This park at night generates a feeling of sheer terror, a skin crawling vibe that is sure to make the most veteran investigator take note. Feelings and experiences can be signs of spiritual activity and make for awesome stories, however this is not evidence and evidence is what the SCSI is about. Maxwell and I recorded, we talked, we asked questions and sat for a long period of time trying to generate a response from spirits. We heard several noises, yet nothing out of the ordinary for a park in the night. We did not experience EMF readings that would raise suspicion and we did not have any visual or audible responses from a spirit. We eventually called the rest of the crew to come pick us up (the park is closed and off limits at night, oops!) and we set out to examine the evidence. We had one unexplained section of audio that some would deem to be an EVP. It actually seemed to be an entire sentence at about fourteen minutes into the recording session. We examined the audio wave over and over, yet could not make out any words. Other than this, we did not capture any data out of the ordinary, much less something that would suggest that this park is haunted. We do intend to go back in the daytime and conduct a follow up investigation, so we will not close the case. There just isn’t any data that suggest this place is haunted. Until we are able to further investigate we will not close the case. I can attest that it is haunted. My first trip made me a believer in ghosts and the paranormal. We absolutely believe there is way more to this place and certainly plan on returning. Thanks everyone for the insightful comments and helpful information. There is a little bit of confusion on the internet concerning the actual location of the main building of the old TB hospital and the ruins that remain today. What we see today, the portion of stone wall and the wooden door that seems to lead straight into the hill side, was not a part of the hospital that housed the sick. Rather, it was a part of a small out-building in back of the hospital (the size of that out-building was small and only included the square concrete slab on top). The hospital was not located on top of that hill where the children’s playgrounds now exist, but out in front of the hill – crossing where the parking lot and the lower soccer field now are. In fact there wasn’t really anything on top of the hill but trees – as it is today. Take a look at those trees on the hill, the size and age of them, they could not have grown that tall since the demolition of the hospital in 2002. The best way to determine the actual old location is to visit Google Earth and click on the “view” tab, then click on “historical imagery”. Slide the bar to 1994 to see the old location then compare it to the park today. There is a rather large Deadora Cedar in the center of the parking lot, adjacent to Beverly Road. That tree today has a “Blue Star By-Way” sign next to it. It was there when the old hospital still stood and was at the southwestern end of the hospital. The hospital extended north-northeast from that tree, crossing the parking lot and into the soccer field. I hope this helps you in setting up your equipment on your return visit. I was at the park from 7pm to 9pm 5/24/2016, I used the app GHOST TOOLS , the words that came through were many, EVIL CURSE SEEK BELOW, NOTICE ME, when I asked where he was, the reply was PURGATORY. also said STEVEN STABBED JULY. Steven is Then later it said RUN. just as we were making our way to our car at 9pm, it said IT IS HERE! I was terrified and didn’t want to chat anymore. We did another investigation there and received these words- TUBERCULOSIS, CHOKING, LUNG, and even said my name craig, and said drowning…it was pouring raining on us. Those words above is what made me believe in that app ghost tools. although you say it’s not haunted it really is, I meant there last night and sensed a whole bunch of energy. me and my friend heard like a guy was screaming from hell.